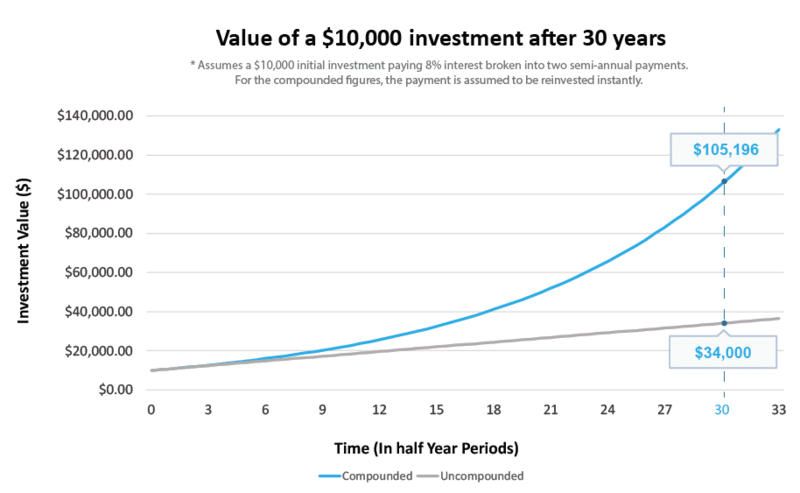 The simplest way of explaining compounding is that you are making returns on top of your returns. 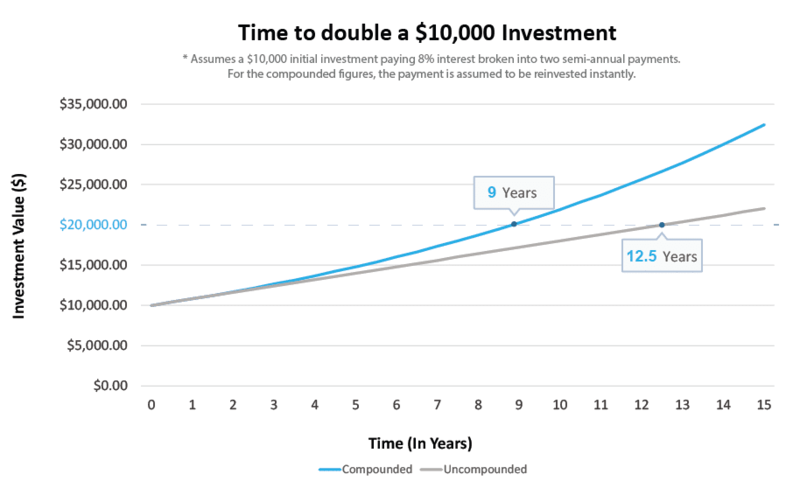 I’ll use a simple example to help clarify: say you make a $10,000 investment into a bond that pays 8% interest, semi-annually, meaning you receive a $400 payment twice a year. Now, if you just took the two $400 payments, and assuming you don’t care about price changes in the bond, your return is 8% per year. Pretty self-explanatory, right? Well, what happens if you reinvest your first interest payment as soon as you receive it? 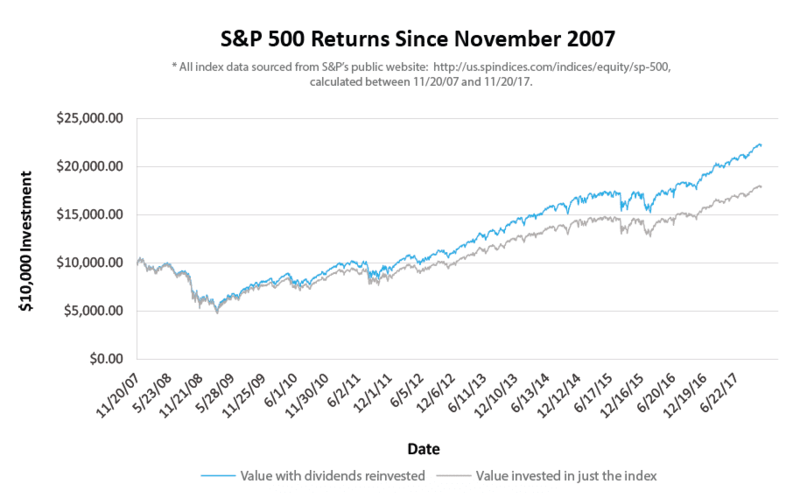 Your investing base (the amount upon which you earn interest) rises from $10,000 to $10,400 for half the year. Now, if we multiply that by 4% (our 8% interest divided by 2 to account for the semi-annual payment), you now earn $416 on your second interest payment.